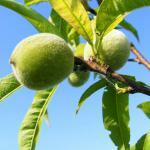 Peach trees are exceptional fruit trees that call for some care to produce a nice peach harvest. Planting, pruning and caring for it is important to avoid diseases. Our recommendation is to plant your peach tree in a sunlit and wind-sheltered spot so that dominant winds don’t sweep through. Once the spot is chosen, plant your peach tree in fall or in spring. Prepare a blend of soil mix and garden soil, which will make the soil lighter and add nutrients that the tree needs to grow well. If your soil is clay and loamy, add about ⅓ sand to your blend of earth and soil mix. Spread mulch to protect it from frost spells in winter, and it also adds organic matter and avoids weed growth. Peach trees tend to not have apical dominance, which means that after pruning, they will sprout new shoots from the base rather than from the top. Every year, it is important to prune your tree at the end of winter just above a well-formed wood bud. Check that the pruning is well balanced and that there is dominant central stem, but rather a number of evenly-sized branches. It is important to perform a fruit-inducing pruning to trigger appearance of many beautiful peaches. A peach tree is very vulnerable to peach leaf curl, and, clearly, proper pruning will give your peach tree vigor and a make it more resilient. 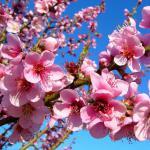 Start treating your peach tree at the end of winter or at the very beginning of spring, spraying Bordeaux mixture. After that, spray every two weeks to keep peach leaf curl and other fungus from appearing. Aphids – techniques and organic treatments to avoid them. 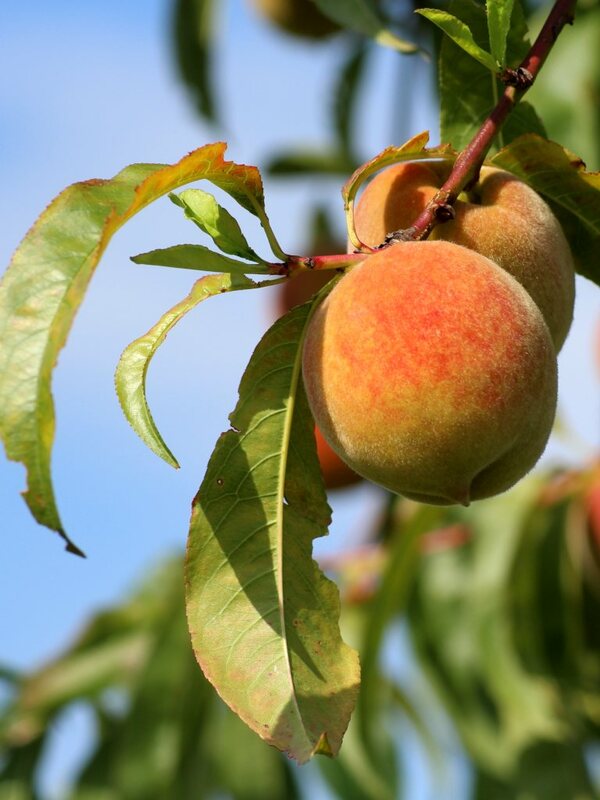 From the many peach tree varieties, we’ve selected the following interesting cultivars. Although taste is always subjective, there are still among the most delicious varieties to grow in our temperate climates. 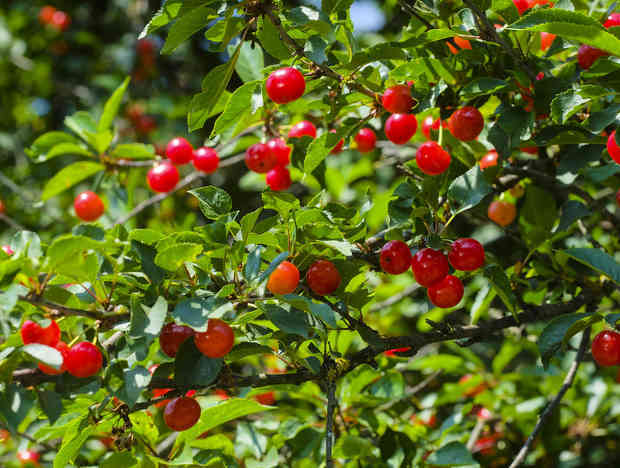 ‘Springtime’ – harvest end of June, white, fruits require thinning, prune short. ‘Royal Gold’ – harvest from June 30th to July 15th, yellow, fruits require thinning. ‘Robin’ – harvest from July 1st to July 15th, white and soft flesh. ‘Redhaven’ – July 15th to 20th, yellow, light productivity. ‘Anita’ – July 10th to 20th, white flesh, vigorous, large fruits. 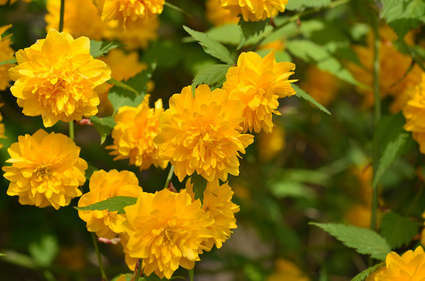 ‘Dixired’ – July 20th to August 5th, yellow flesh. ‘Charles Roux’ – July 15th to August 15th, white, vigorous, very productive. ‘Redwing’ – August 1st to 15th, white, tasty, vigorous. ‘Orchard Queen’ – August 25th to September 10th, white, for colder areas. ‘Michelini’ – August 25th to September 10th, white, late blooming, prune long. ‘Sanguine’ – September 1st to 15th, regular and late production. ‘Fantasia’ – harvest end of August, a tasty nectarine. ‘Flavor Gold’ – harvest mid-July, prime quality fruits. ‘Fuzadole’ – harvest August 15th, white nectarine, grows anywhere. ‘Large Violet’ – end of August, vigorous and its fertile stone can be sown. ‘Independance’ – harvest around August 10th, large yellow fruit. ‘Morton’ – harvest end of July, beginning of August, fertile stone, prune short. ‘Nectared 4’ – harvest August 1st to 15th, early, juicy, sweet. ‘Nectared 6’ – harvest end of August, one of the best nectarines. 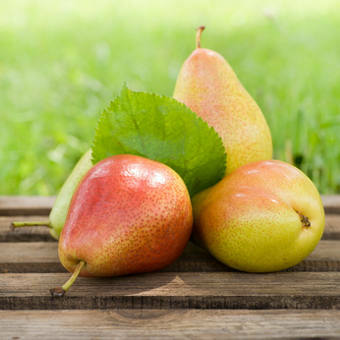 ‘Nectarose’ – harvest around August 20th, very sweet, resists European brown rot. ‘Olympia’ – harvest August 15th, nectarine with white flesh, very fragrant. ‘Silver Lode’ – harvest August 10th, white and very sweet nectarine. Who has never dreamed of standing up after a nice family feast to go fetch a few peaches from the tree in the garden? This dream is within reach, if you simply care for your tree and considered location, pruning and fertilizing. You can also treat your peach tree before the first leaves appear, with organic acaricide (mite killer) or a spray containing Bordeaux mixture.